I am an entrepreneur and writer in Heerenveen, the Netherlands. After university I started working as a Business Consultant and soon found myself writing my first book about starting a business as a freelancer. Because I wanted to be a consultant with practical experience I started my own part time business, a legal publishing company. The business went well and I sold it in 1998 to Kluwer International Publishers. 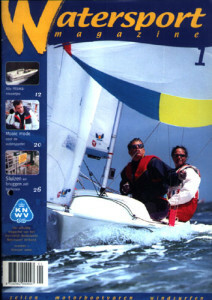 During the next three years I worked as the main editor and publisher of Watersport Magazine, the biggest boating magazine of the Netherlands with a circulation of over 120.000 copies. I continued working in this market with my own publishing company and founded the IJsselmeer Krant, Watersport in Bedrijf and the Watersport Krant. The latter the most successful with a controlled circulation of 250.000 copies. After publishing these titles for over eight years I sold them to NDC Media Group. After selling the titles I focused more on writing. I worked on several projects as the editor and writer, you can find them on the page timeline. Currently I am working on several writing projects, you can read about them on the page current projects. All details about my career can be found on the page timeline.